Maker: Peloubet, Chabrier, New York and New Jersey - his dates were 1806 - c.1881. Peloubet was well known, particularly as a builder of reed organs, including church instruments of considerable size. In my opinion he was one of the finest American makers of 1 through 8-key flutes. 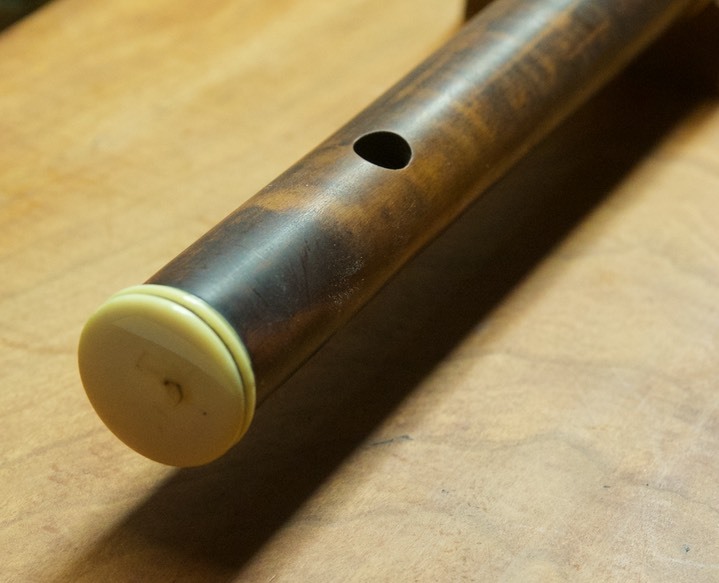 The workmanship, especially cutting of the embouchure is always top-notch.